The Powertruss PT BRACE® narrow wall brace is a light-weight metal truss frame that can be used for all types of lateral wall bracing ranging from N1(W28) to C4(W70) cyclonic, providing bracing values of up to 22.8kN per metre. Our patented new diaphragm design provides greater strength and rigidity at the base of the PT Brace, enabling stronger U.L.S. bracing loads, and improved access to tie-down bolts for easier installation. Modern open plan design often features large glassed areas and fewer walls, which can lead to problems in achieving lateral bracing requirements. Powertruss narrow wall bracing frames are available in 8 different widths ranging from 250mm to 600mm, making them an ideal narrow wall bracing solution for open plan designs. Available in both “lateral bracing only” and “lateral bracing + co-existing load bearing capacity” versions, Powertruss frames are a highly versatile narrow wall bracing unit. They are suited for placement in short or nib walls at either side of large openings such as garages or alfresco’s, where sufficient space for ply bracing is unavailable. 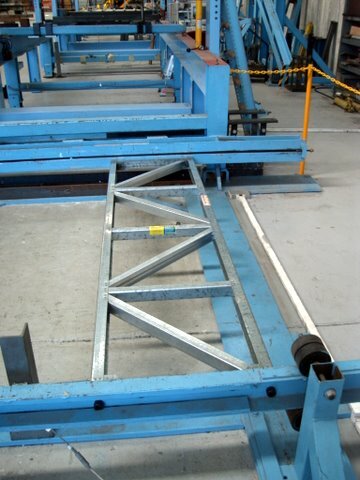 All Powertruss frames are manufactured from galvanised steel, giving them greater bracing capacity than their timber-made counterparts. 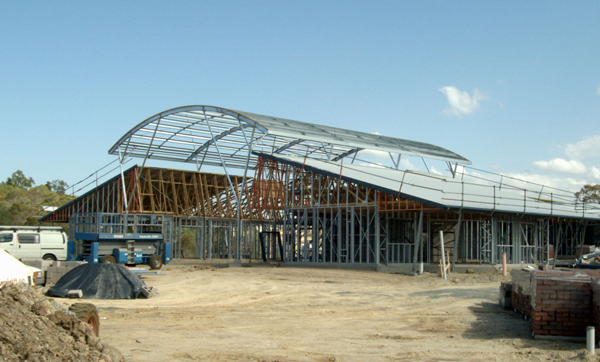 Powertruss is the strongest pre-engineered steel proprietary wall bracing system available in Australia. Engineers, Draftspersons and Designers can specify the Powertruss on working drawings with pre-approved engineer certification (click here for downloadable CAD drawings). Where wall space for ply bracing is insufficient, the Powertruss range of narrow wall braces will solve your problem. Narrow wall bracing application – large bracing values. The Powertruss fits between the studs within the house frame and bolts directly to the slab. Large window and door openings are a breeze, especially where minimum wall space is available for bracing, as the Powertruss has a capacity to 22.8kN per metre ultimate limit state load. Powertruss frames are used in homes, townhouses, unit complexes and light commercial buildings to provide lateral bracing and wall stiffening, and are especially useful for lateral bracing garage openings and open plan designs where wall space is limited. All Powertruss frames have Engineer certification issued by Summermore Pty Ltd Consulting Engineers. The Powertruss Wall Bracing System complies with the provisions of Section B, Structures, of the Building Code of Australia (B.C.A. ).